This past week has been a bit of a stressful one but I am happy to say, where there is darkness a light is always at the end of the tunnel! And if in doubt, why not treat yourself, to some new workwear attire! I did just that! Feeling and looking like an extra from little house on the prairie to a school teacher, I fell head over heels for this ruffled check pinafore from H&M. 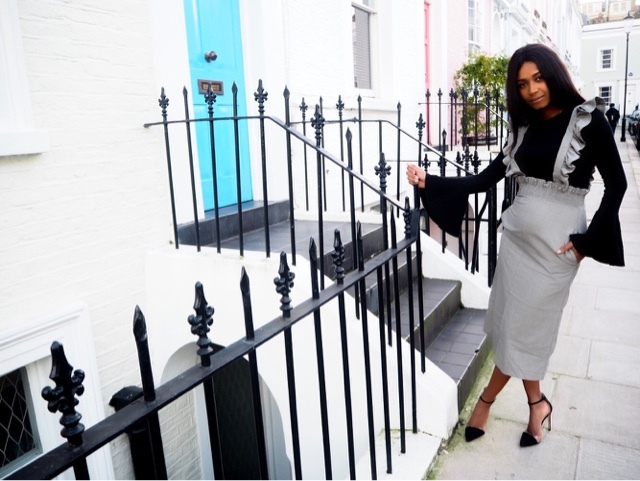 I have to say this is one of my new favourite skirts which I picked up a few days ago, rushing in between press shows like a mad woman, it holds you in all the right, places so great for my mum-tum, but I'm working on that reduction this January! 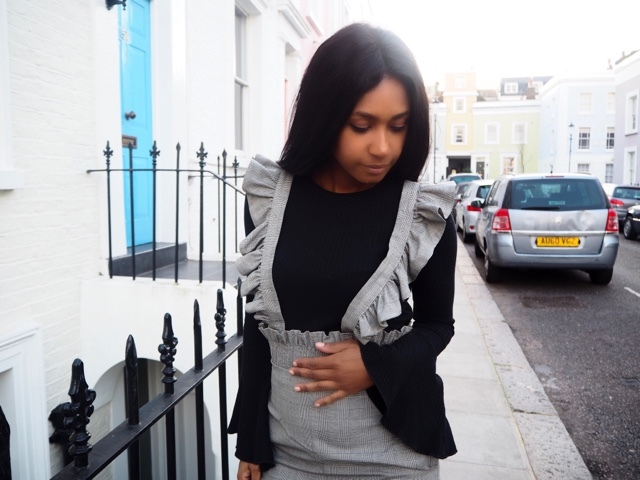 I am so in love with the feminine ruffles, which is from there Trend collection and is a true steal at only £34.99 You can style it in loads of different ways, be it on a casual weekend and team with a pair of Stan Smith's with a slogan t-shirt, obviously once the weather has warmed up, or team with a long sleeve top. 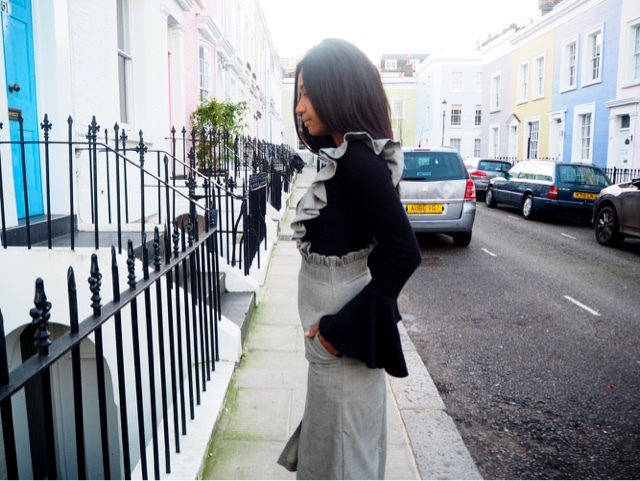 I bagged this beaut of a bell sleeve top, which you have probably seen me wear in my Instagram page, this was a total steal from Zara at £12.99 and will not break the bank, as well as it coming in other colours also, if I was you I would bag a few quick before they all sell out, great to keep the chill away from this cold breeze we are having and it can instantly take you from day to night, so great to wear after work for drinks with the girls, or team with a pair of skinny jeans for date night. 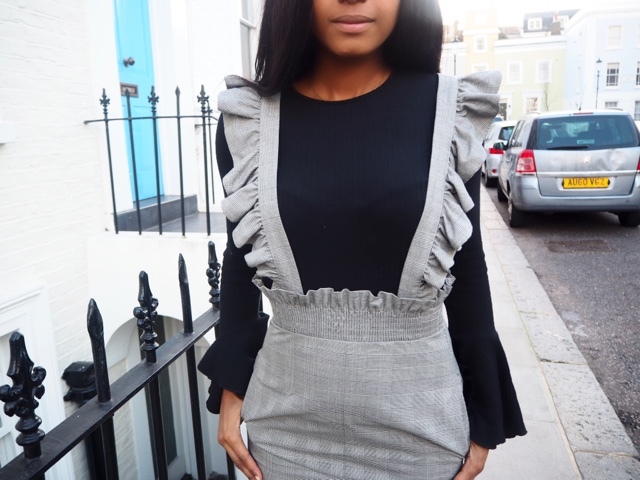 Have you bought anything new this season with frills or flared sleeves, for work or to add to your wardrobe, if so what did you get? Do you think of my new Shop The Post widget, I'm thinking of doing a shop page, what do you think?